If ever a photograph depicted a high-risk prisoner then surely this one of Abimael Guzman is it. Seen here in 1992 surrounded by his captors, the Peruvian anti-terrorist police, it signalled the near total demise of the Maoist guerrilla movement, The Shining Path, of which, Guzman was the founder and leader. It brought to an end a campaign by the group which began in 1980, it’s aim was to overthrow the government of the Creole ruling class of Peru using Guzman’s Maoist beliefs in tandem with long-held, native opposition to the country’s leadership. Peruvian by birth, he was born in 1934 and whilst studying at University he soon became obsessed with Marxism and joined the Communist Party of Peru. Whilst working as a professor of philosophy, Guzman became more involved with left-wing politics and actively sought to recruit young student followers to his cause. By 1965 he had visited the People’s Republic of China for the first time and so began his move towards Maoism. This change in ideological thinking saw Guzman break away from the Peruvian Communist Party who still practised Marxist-Leninist principles, a road Guzman became increasingly critical of. By 1980 the Shining Path was formed, its aim was to create a ‘new democracy’ which would in turn see the beginning of a ‘cultural revolution’. Despite the horror of Mao’s supposed cultural revolution, Guzman was convinced of its merits and believed its success would go on to see a pure form of communism overthrow every democratic country in the world. If it sounded fantastical it nevertheless appealed to many, and by the end of 1981 the group had recruited large numbers of militants from the highlands. But not everyone was convinced of the group’s aims, and the Shining Path soon found themselves fighting both government forces and local militia groups of peasants who were trained and equipped, albeit it poorly, by the government. Atrocities on both sides ensued, the black mask wearing government troops raped and tortured innocent bystanders whilst Shining Path responded with political assassinations as well as several massacres of pro-government villages. By 1991, the group had secured control of large parts of the country, they were ruthless in their beliefs and pursuits and imposed communist doctrine upon villagers, bitterly angry at the abolition of centuries old traditions and beliefs. Guzman’s personal life was no less colourful, in 1989, his wife of twenty five years, Augusta la Torre died in unknown circumstances and whilst never proven it is widely believed she was murdered with his consent, by his lover, Elena Iparraguirre. In 1992, government forces tracked down members of Shining Path to an apartment in Lima. Guzman was believed to be hiding there with a number of his deputies and it was a search of the garbage bins which led to the discovery of empty tubes of skin cream which confirmed a psoriasis suffering Guzman’s presence. 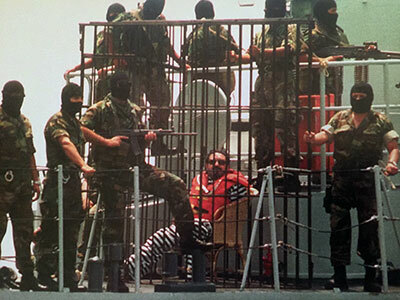 The arrest was catastrophic for the group which continued but splintered and to this day is used as an umbrella for cocaine smuggling operators and small militia groups. Guzman remains incarcerated, a hunger strike forced the government to grant his right to marry Iparraguirre who is also serving a life sentence for terrorism. Whilst Peru seldom attracts the attention of the world’s media, the massacres committed by both sides of the conflict should never be forgotten. Guzman followed in Mao’s (and Stalin’s) footsteps by inflicting the most brutal, horrific violence and murder on innocent Peruvians, the very proletariat he claimed to champion. It was another of those conflicts which was largely ignored by the international community, but the effects of the misery caused live on in yet another example of human suffering in the name of political and/or religious belief.